HOST YOUR NEXT SPECIAL EVENT WITH PARC BISTRO-BRASSERIE! 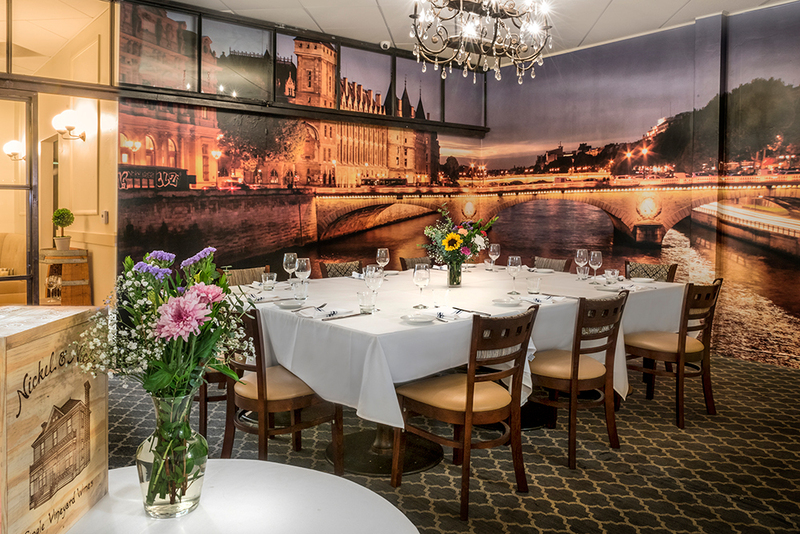 We are a modern French bistro located in the heart of San Diego&apos;s Bankers Hill district that boasts two beautifully designed, completely private dining rooms along with a heated outdoor patio space. 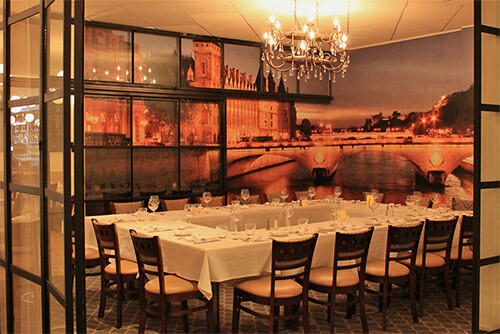 Whether your guest count is 10 or 150 we can accommodate your group and fulfill all of your event dreams. We offer a full bar with a spectacular wine list along with 3 different menus to please every price point, customized menus are available upon request as well. Our award-winning chef Benjamin Navarro strives to create a high quality, unique dining experience for every guest that walks through our doors. 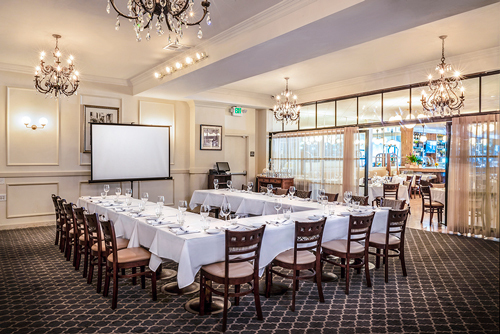 Our Private Dining Coordinator, Leila Offner, is happy to assist you in all aspects of your event from the venue to the food to vendor recommendations and everything in between. We can&apos;t wait to host your next special event! 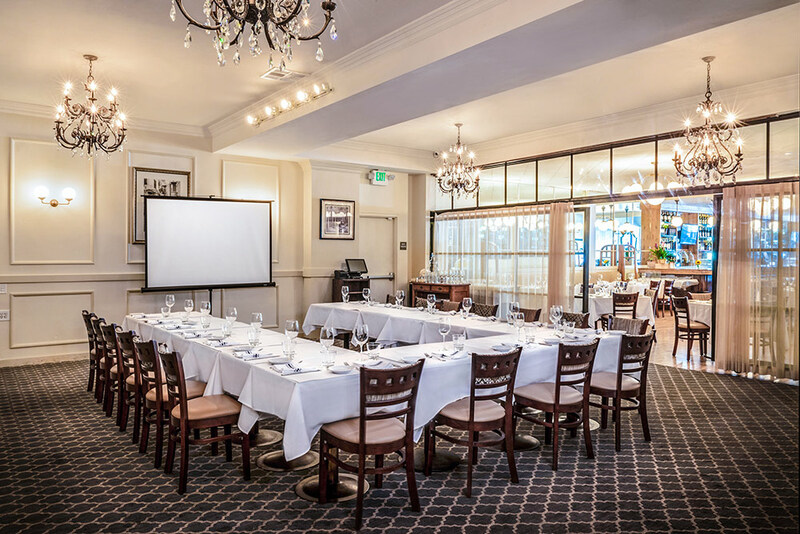 Featuring beautifully appointed details including a signature crystal chandelier, the Siene Room is ideal for an intimate Pharmaceutical dinner, Birthday party or Board retreat. It can accommodate 10-25 guests. 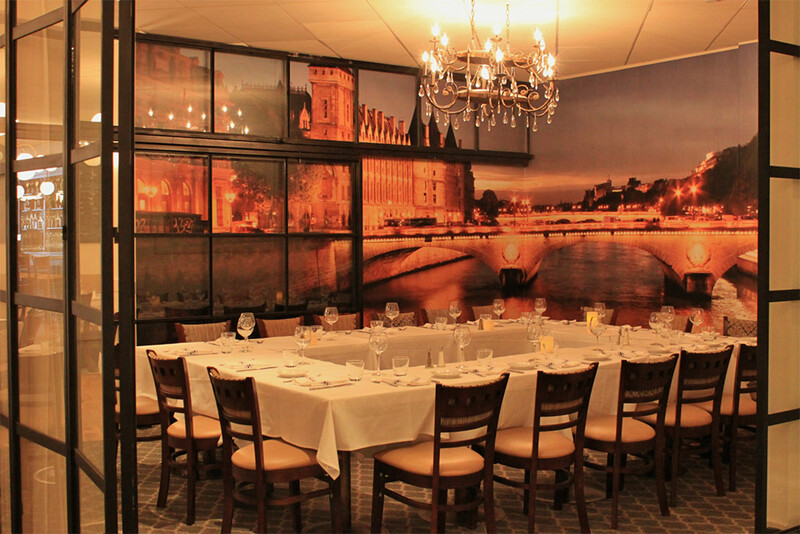 Inspired by the lore of French wine, the Vineyard Room is ideal for Business lunches, Rehearsal dinner, and corporate dinners. 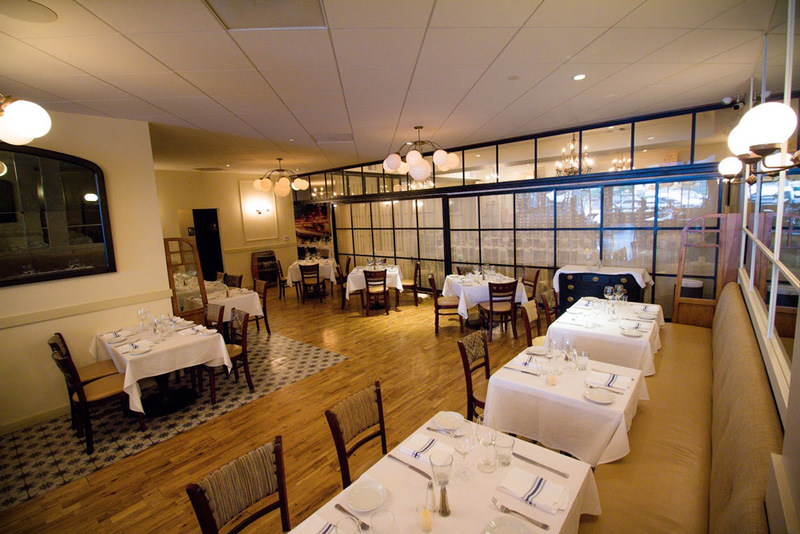 Modern French glass doors and sheers enclose this room to create a comfortable, elegant private space. 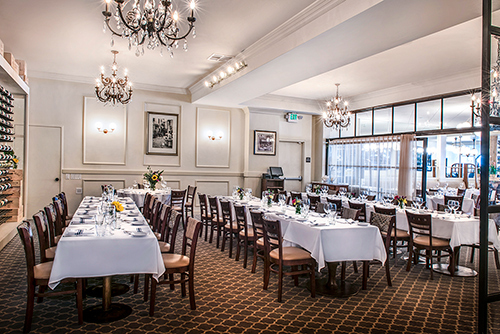 This room can accommodate up to 80 guests. Why not reserve the entire restaurant and celebrate in style! 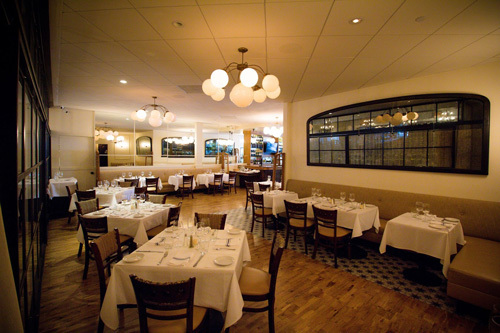 Invite up to 150 guests to enjoy the whole restaurant for an exclusive evening.